At Stinger Home Inspections our main priority is your families safety! 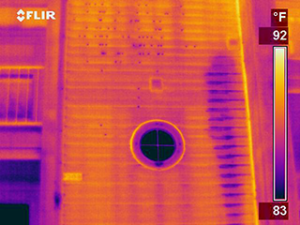 We are now offering our “Thermal Inspection” ($199 Value) Free of charge with all inspections. Call now and have one of our experts inspect your dream home! We’re passionate about delivering an exceptional inspection experience. When you hire us, you’re hiring a professional who is trained and skilled to deliver lasting knowledge about your home. From the initial meeting process to inspection completion, we consider ourselves humble guests in your home, and as such respect your personal privacy, belongings and space. We apply the use of the most innovative and cutting edge tools in today’s home inspection industry. You can rely on our professional team to provide you all of the accurate details so you can make an informed decision and always give you the final word. Stinger Home Inspections specializes in residential pre-purchase, pre-listing and new home deficiency inspections. We also offer new home pre-delivery reviews and annual home maintenance reviews. We inspect all residential homes including: single family and multi-family homes, townhouses, condos and modular (manufactured) homes. Stinger Home Inspections is currently serving the Lower Mainland and Fraser Valley. 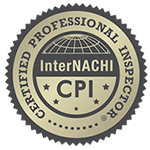 We are a licensed and insured inspection company through the province of BC, CanNACHI, InterNACHI and Consumer Protection BC. For your convenience, we have both daytime and evening appointments. There are many factors that will help determine the price of an inspection; such as square footage, age, number of additional suites and location of the property.
" I used Stinger Home Inspections to inspect our new townhome right before purchasing and was thoroughly impressed with Brejesh’s attention to detail and in-depth knowledge of potential issues. The most surprising, scariest and…best…part of his 3-hour inspection was finding a moisture issue in the master shower, which no one ever expected to encounter in a 2-year old house. The off-the- charts moisture rating was found in an area I’m certain most inspectors would not have checked since the home was relatively new. Thanks to Brejesh’s thoroughness, we were able to renegotiate our purchase price significantly based on the fixes that needed to happen, but most importantly – Brejesh shed light on a serious issue that, had it been left unknown/unattended, would have turned into a potential health hazard (mold, rot) and would have been very costly to fix by the time it came to the surface. I recommend Stinger Home Inspections to anyone in need of a home inspection. Brejesh is not only incredibly detailed but takes pride in his work and customer service - he returned a few months later to make sure the moisture wasn’t an issue anymore, which gave us great peace of mind. Stinger Home Inspections went above and beyond the standard inspection for us, and I am left exceedingly happy! " " Brejesh did an inspection for my client not too long ago and what a great job he did! Not only was my client happy, but he said that he would definitely refer Brejesh to his friends and family. He went over all the details with my client and was able to do the inspection even in the short notice that we had given him. Brejesh delivered, made the time work for the customer and left a great impression. He found many problems with the house and gave clues on what to watch out for in the future. He went above and beyond our expectations and we were able to negotiate a lower sale price for our mutual client. It is nice to know that when I refer my clients to Brejesh that they will be taken care of and that they are in great hands!"